The company “JV Electric” Ltd. manufactures a wide range of junction boxes for surface mounting and terminals. All the products in our production line are certified according to the “Bulgarian national standart”. We are using high quality materials in all the products which we manufacture. The company focuses not only on quality but also on competitive prices. 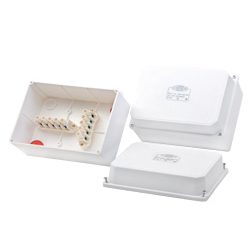 Our junction boxes are designed for quick and convenient wiring. They are suitable for all applications - residential, commercial and industrial. They are waterproof and dustproof and are suitable for networks with AC up to 690V. 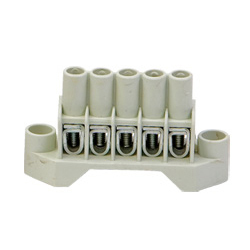 We offer two types of terminals, suitable for connecting cables up to 10 square meters.